Comfortable & Relaxing Holiday Experience! Are you excited about your upcoming vacation to Waterton Lakes? When planning a trip, a number of things need to be considered such as packing, travel, lodging and accommodations, tours and excursions, etc. 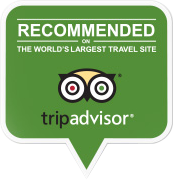 amongst all these, finding the best Waterton hotels that provide you with a comfortable and relaxed experience is extremely important. Bayshore Inn Resort & Spa is one of the best Waterton National Park hotels that offers an incredible holiday experience. The accommodation features a full-service spa, spacious renovated rooms, fine dining and much more. Fully-equipped with all the modern amenities, convenient location and gorgeous lakeside views, Bayshore Inn Resort & Spa is the most desired accommodation right in the heart of Waterton Lakes National Park. To make your stay as comfortable and relaxed as possible, we offer different kinds of accommodations according to your needs and desires. Romantic Suite: Begin your new life together in our Romantic suites in Waterton. Even, if you are looking for a cozy setting to rejuvenate your love life, we are one of the most ideal Waterton National Park hotels. These romantic suites with private balconies have been tastefully designed to provide you with a romantic, cozy and comfortable stay with your partner. Romantic suite offers you with a number of amenities including king-size bed, spacious bathroom, Jacuzzi and air conditioning. 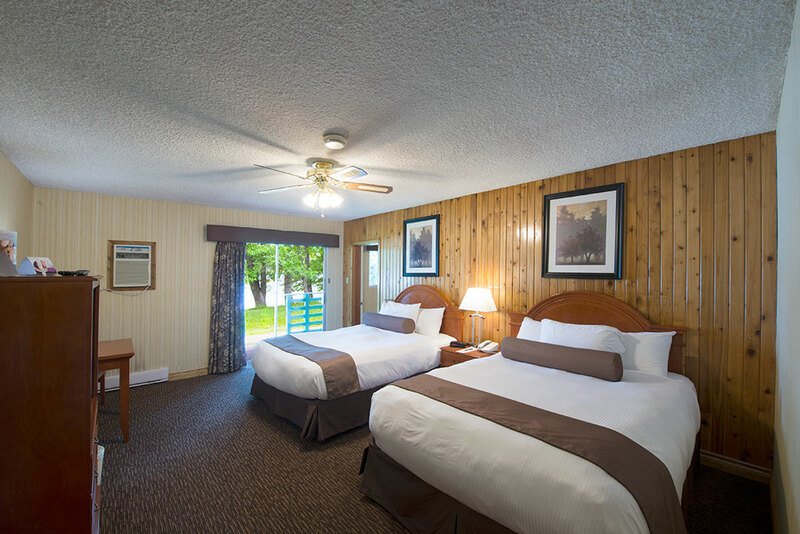 Deluxe Suite: Our Deluxe suites offer you with the perfect retreat to enjoy the Waterton Lakes National Park. These bedroom suites include a cozy bedding and separate sitting area with a pull-out sofa bed, offering ample space for reading, relaxing or visiting. 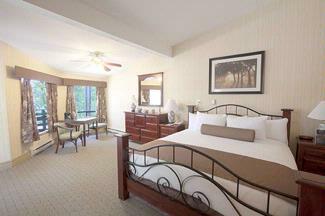 These tastefully designed Deluxe Suites in Waterton feature Marina and Emerald Bay views. These deluxe accommodations provide several amenities such as 2 double beds in the bedroom, double pull-out sofa bed in the sitting room, 4-piece bathroom, air-conditioning, etc. Family Suite: When it comes to planning a vacation with family, you need to find the best Waterton hotels – a hotel equipped with modern amenities to make your family holiday most comfortable and enjoyable. Our family suites offer the best accommodations among all the Waterton Lakes hotels and have been specially designed to meet your needs. All of our Family Suites offer a lakeside view of Waterton Lakes and a private balcony. 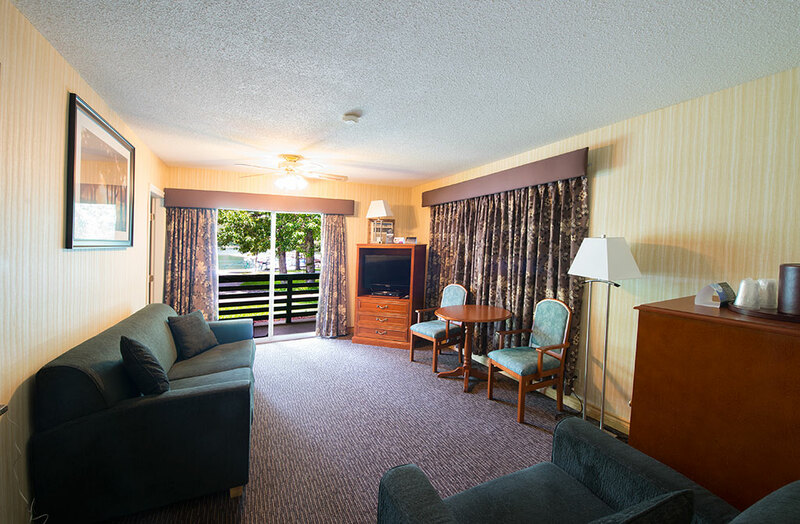 These spacious suites offer a number of amenities including two queen beds in main room and one double bed or two double beds in adjoining room, 4-piece bathroom, heavenly bedding with down filled comforters, air conditioning, TV/DVD and more. Based on your needs and desires, you can choose the most ideal accommodation with the best Waterton hotels – Bayshore Inn Resorts & Spa. Come, experience the most comfortable, relaxing and enjoyable holiday at the Waterton Lakes National Park.